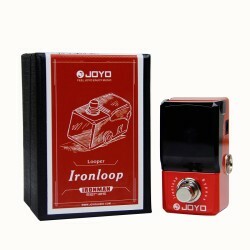 R-04 JOYO Zip Amp Compressor / Overdrive - Danger Danger this pedal should come with a warning, not quite an UZI but more of a BB gun with great compression control. 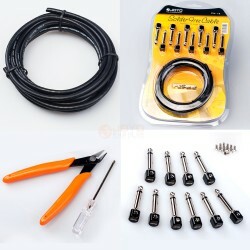 If you are a lover of Instrumental rock, Hard rock & Glam metal this is the pedal for you. You have the ability to choose between standard compression and even more compression resulting in balanced but very powerful pre amp overdriven tones. The pedal will certainly equalise your playing, add sustain and simply adds a legendary pre amp tone with some very exotic swagger. 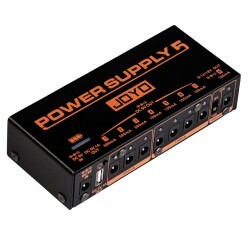 At your fingertips you have Low / High to adjust the EQ, Volume & Drive to push it further. A toggle switch to control the compression from normal to compressed. 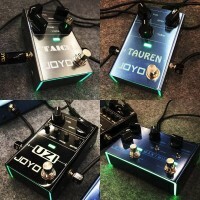 The R Series, or Revolution series from JOYO are the 4th generation of guitar effects and all feature some very cool ambient LED lighting. The lights can be toggled from a switch on the rear of the pedal..3 modes of lighting are available to adjust when they come on. 'Sync' to the footswitch - The LED ambient lighting on the front and rear of the pedal with shine bright when the footswitch is pressed, also illuminating the LED effect indicator on the top of the pedal. 'Always' - The lights are always on, but the pedal is only activated when you press the footswitch and the LED effect indicator comes on. 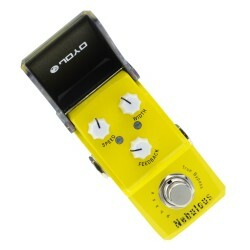 The pedal features controls for Volume / Gain & Tone . 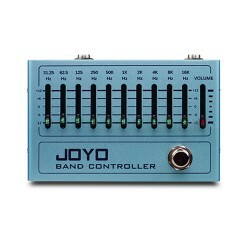 The JOYO JF-302 Wild Boost Drive Boost Mini Guitar Effects Pedal is an exceptional all round Drive &.. 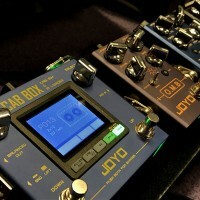 The JOYO classic wah pedal has two modes, featuring both wah wah and volume functions.The JOYO cla..